Please fill in the form below to request for a Billiard Mechanic or to get a quotation for your requirement. Please present any discount coupons prior to placing order. Have you purchased from Mr. Billiard Before? Ask for immediate customer appreciation discount. If calling for corporate yearly contract rates please ask for Corporate Sales. 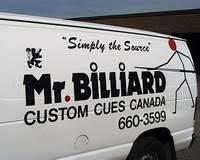 If Warranty based please email at Service@mrbilliard.com with table serial number.